Is it possible to revive the heart of a marriage just like you can revive a heart that does not beat? It is possible. Timing, attunement and openness are all qualities that become essential in restoring vitality into a relationship in trouble. Just as with CPR, timing is essential. 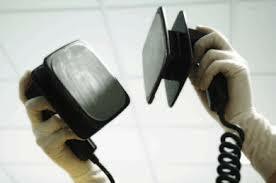 With CPR, a heart stops and immediate electricity at the right moment can make it beat again. With the emotional heart, catching the descent into hopelessness is a form of CPR that stops further damage to the bond of a relationship. The lack of hope in this deadly descent can be traced back to hurt the emotional heart harbors and protects. A skilled dive back into the hurt in therapy allows for the pain to release. The release of pain allows for hope and change to flow back. Attunement means being available and responsive to a partner’s pain. Repairing the breaches in attunement also helps the process of healing. The lack of eye contact, a quickening breath or a sudden turn of the head are all non-verbal cues that when caught in therapy offer a different response. Catching the fear beneath the non-verbal messages allows for awareness and curiosity to replace defensiveness and blame. Helping the emotional heart through fear is much easier when partners understand that the experience of fear attaches itself to all events that cause disconnection. It is a wired-in response. Once that response is understood as adaptable, the emotional heart stops bracing because the attention becomes focused on diminishing fear and increasing connections. Then a relationship has the chance to blossom anew and flourish.